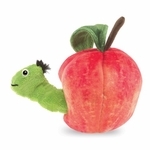 Folkmanis 3123 - Take a bite out of the sweet life with the Folkmanis® Worm in Apple puppet. 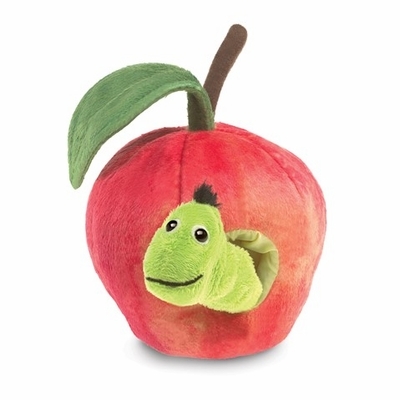 This soft toy is a perfect introduction to engage little ones in puppetry playtime with a little peek-a-boo fun! Pop Up. Using your finger the worm pulls into apple. Puppet measures 3” long x 3” wide x 5” tall.